The Puritans wanted to return to a simple, and to them more pure, form of worship. 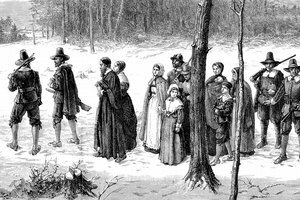 The Puritan movement began in England in the 1500s and had spread to the American colonies by the early 1600s with the arrival of the Pilgrims on the Mayflower. Puritans were originally members of the Roman Catholic and Anglican churches who broke away for a number of reasons. They differed from Catholics in certain beliefs, in their style of worship, in the structure of their congregations and in their lifestyle. The values their worshipers held dear have had a profound effect on America -- giving rise to a number of Protestant denominations, most notably the Baptists. The Puritans believed in local control and opposed a powerful Catholic hierarchy ruled by the pope and his bishops. 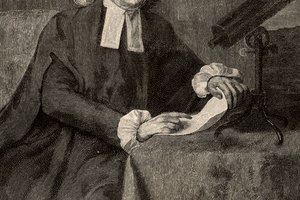 Puritans argued that the only person at the head of the church is Christ, and that each congregation should be responsible for its own members instead of answering to others. According to Puritan beliefs, the church's sole function is the worship of God, and God will decide how that is accomplished, not the dictates of Rome. 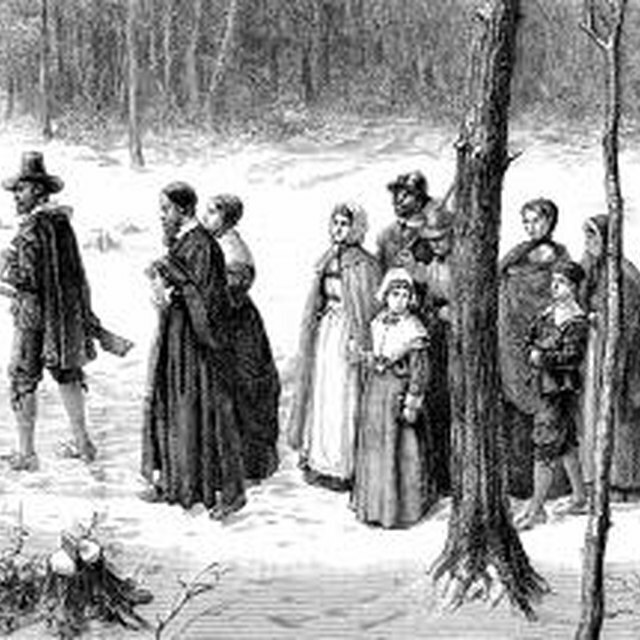 Puritans differed from Catholics in their form of worship. Puritans believed in reciting informal prayers, while Catholics pray from a standardized Missal during the course of a ritualized service. The Puritan congregation sang psalms from the Bible accompanied by simple music, while the Catholic Mass often included elaborate hymns. The Puritans rejected making the sign of the cross, kneeling during the service and other Catholic protocols. They believed the Bible did not command them to do so. Puritans emphasized severe punishment and public acknowledgement of sins, while Catholics emphasize forgiveness and private confession. Puritans rejected the Catholic beliefs in purgatory and sainthood. 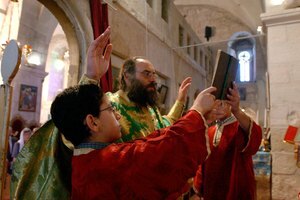 They also rejected elaborate vestments and the use of incense during the service. Puritans did not celebrate Christmas and holy days nor follow any liturgical calendar as Catholics do. They were opposed to the adornments often found in Catholic cathedrals and churches. They were against the use of stained glass windows, stone alters, candles, statues and other images. 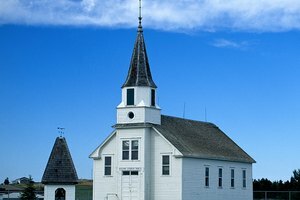 Puritan churches were humble and simple. Puritans believed in only two sacraments, baptism and the celebration of the Lord’s Supper, while Catholics observe seven. 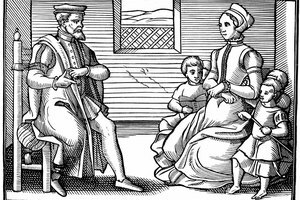 Puritans had a lifestyle much more rigid than Catholics. They believed pleasure to be a sin and that a person's time should be spent either at labor or at the worship of God. Puritans also thought pastors should be married men with families, as opposed to the Catholic practice of celibacy. The Puritan ethos placed a high emphasis on education, out of which arose such institutions as Harvard University and Dartmouth College. Almobayyed, Mona. "Differences Between the Puritan and Catholic Faiths." Synonym, https://classroom.synonym.com/differences-between-the-puritan-and-catholic-faiths-12083434.html. 29 September 2017.